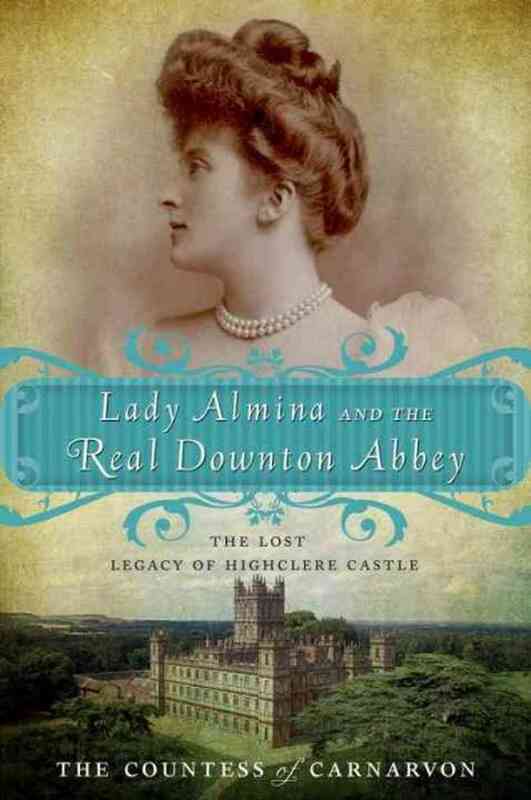 ‘Lady Almina and the Real Downton Abbey: The Lost Legacy of Highclere Castle by The Countess of Carnarvon’ is a lengthy title, but utterly appropriate for what it leads to. Written by the Countess currently in residence of the castle used for filming Downton Abbey (and apparently the basis of the character Cora) it gives us insight into how the castle was run, and the changes that happened throughout history. There are various pictures throughout, of portraits, newborn children, letters and diary entries, which makes it easy to visulise those the Countess speaks of, and various shots of the castle that we will recognise through viewing Downton Abbey. The book follows the story of Lady Almina who marries into the Carnarvon family though she lacks somewhat in social standing, thanks to being born to Alfred de Rothschild though he wasn’t married to her mother. His wealth ensured she would marry well though, and her dowry saves the castle from falling into hardship – much like what happened in Downton Abbey twice (so far). Such as in Downton Abbey, Lady Almina did indeed welcome the wounded into the castle (as did many wealthy homes in those times) and if you read on, you can see what other similarities exist between the real and the fiction. The current Countess cleverly writes of the previous tenants of the castle in a way that shows how others interacted with them, and what they may have thought of them, without being rude or disrespectful. I had the sense that Lady Almina herself may have been a little forceful at times, and yet she is written of carefully, showing that while also showing how inspiring she was. It is also nice to see how Lady Almina interacted with the servants, in evidence for what she bought for them, and letters between them (especially with that of her maid). The book also goes into Lord Carnarvon’s archeological interests, how he was there (along with his daughter) when the tomb of Tutankhamun was discovered, and what general travel was like in these times – they spend most English winters over in Egypt! The parts that last the longest are those of war, which is understandable, Lady Almina’s own son serving his time and the weight it left on Lord Carnarvon’s brother. For fans of Downton Abbey this book is sure to be interesting, and for those who like history, this is also a must. It’s well written and easy to read, interesting – touching on subjects for the perfect length of time. I didn’t feel for an instance that there wasn’t enough information, nor too much. The Countess of Carnarvon has done a good job with this book, as is references in the back, as well as thanking those who made her enough tea for this to be possible. This review was originally posted at SentientOnline on the 24th October 2012.